I love all flowers – big or small, ornate or simple. But when I see unusual flowers that are amazing and beautiful, they almost take my breath away. Nature is amazing in the type of flowers that it gives us to enjoy. Most of these specimens are tender perennials that grow outdoors only in zones 10 and 11, but many of them can be grown indoors as potted plants. 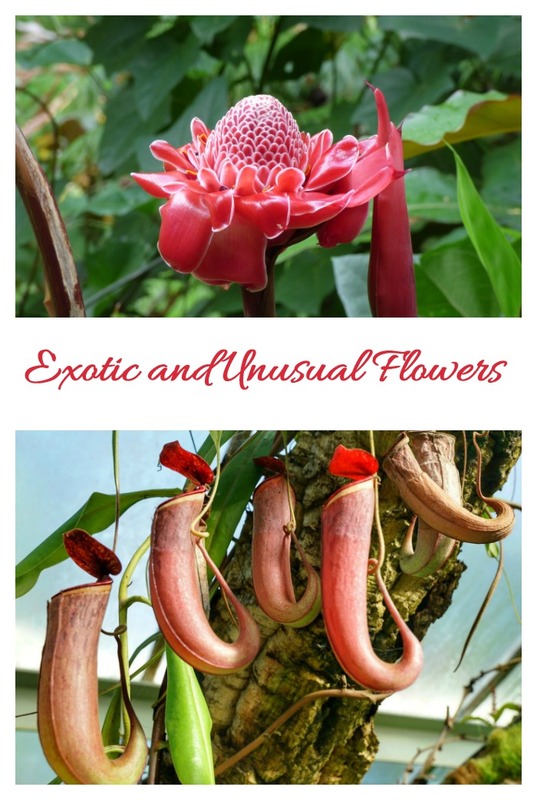 Here is a collection of some of the most unusual flowers that I have come across. All would add some dramatic flair to any garden setting. 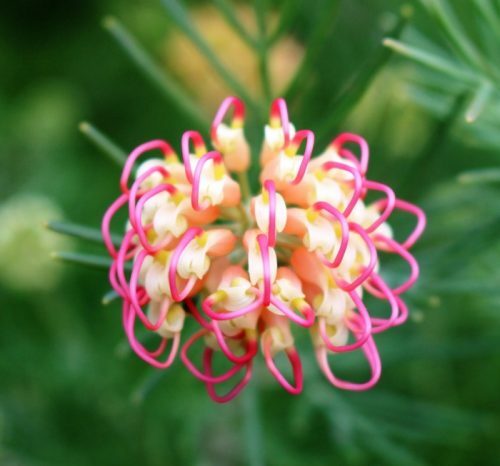 This unusual flower is called grevillea. It is also known as spider flower and it’s easy to see why. The pink tendrills look almost like spider legs. It is a tender perennial, hardy only in zones 10 and 11. Hardy Blue Passion Flower – The color purple is so vibrant with the dark and deep purple center. What a beauty! 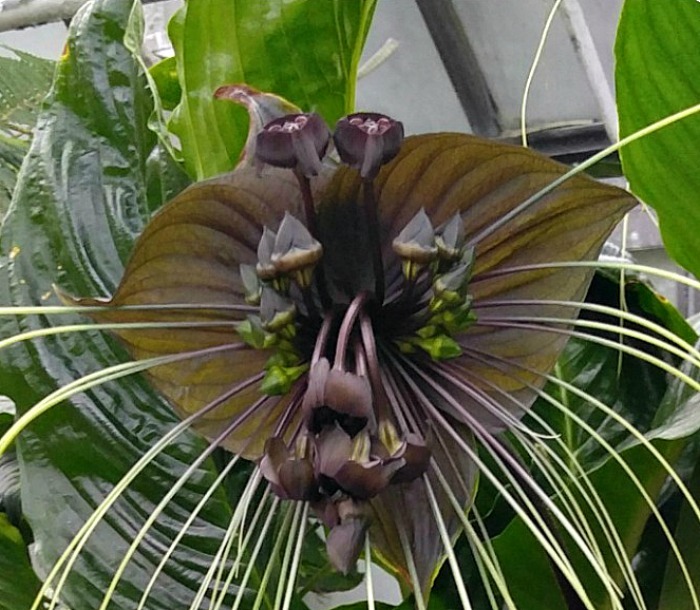 One an almost see why this unusual flower is called a bat head lily. I first saw one in the conservatory on a trip to Biltmore. It is a really stunning flower. The long tendrils look like whiskers and the parts of the lily that project forward seem to give the illusion of a face. ‘The plant is also known as devil’s tongue and voodoo flowers. The dome head of this Hawaiian jungle flower makes it so unusual looking. 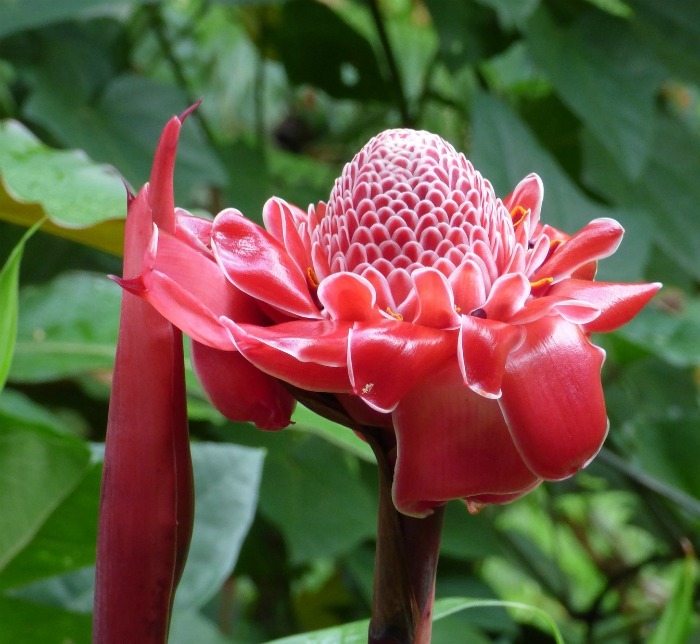 It is called “Torch Ginger”. Imagine coming across this on a walk through the woods? 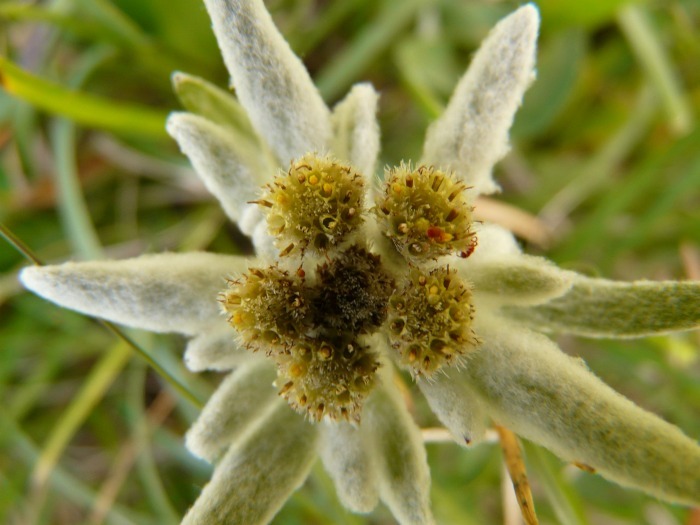 The plant grows in areas where the night time temperature does not drop below 50 degrees F.
Leontopodium nivale is commonly called edelweiss. This well-known mountain flower belongs to the daisy or sunflower family, Asteraceae. The plant likes to grow in rocky limestone places at altitudes of about 1,800–3,000 meters. King Protea is an usual flowering plant. It is the largest flower head in the genus protea. 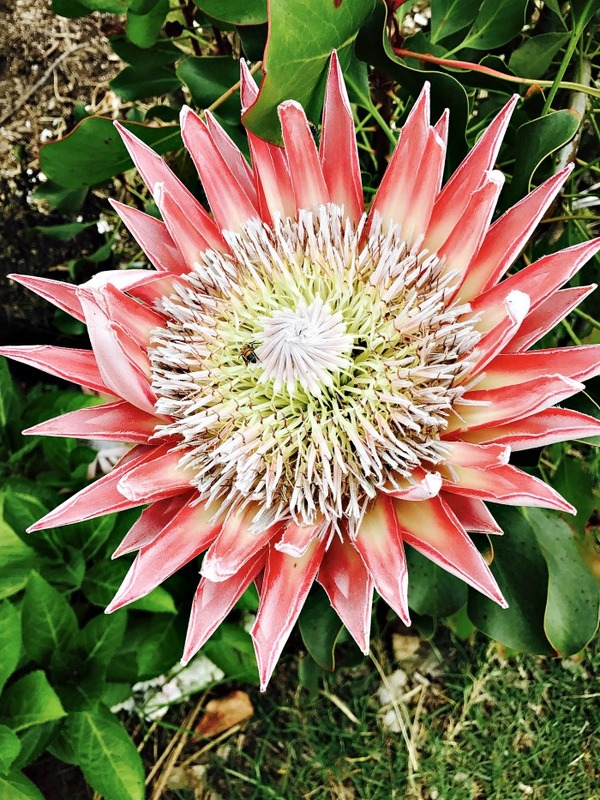 The plant is also known as giant protea, honeypot or king sugar bush. This form of protea is native to South West South Africa. It is hardy in zones 9-11. Carnivorous pitcher plants have an opening which allows insects to get trapped inside the bloom and unable to escape. I recently saw a large collection of them on a trip to my local farmers market. 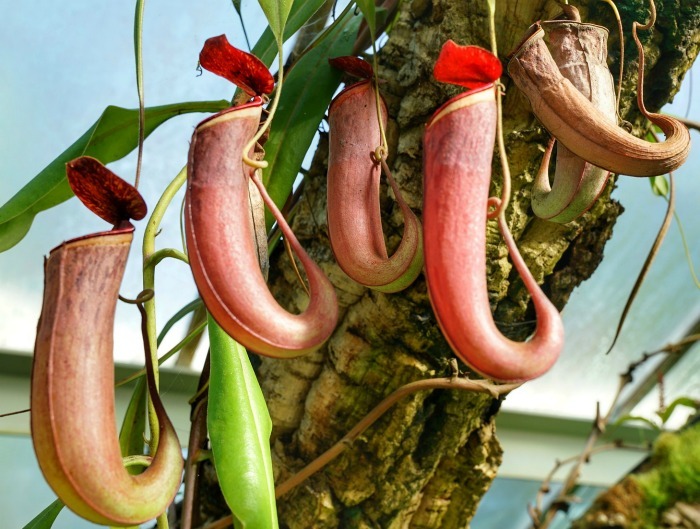 Pitcher plant comes in many varieties, some of them are even hardy down to zone 3! 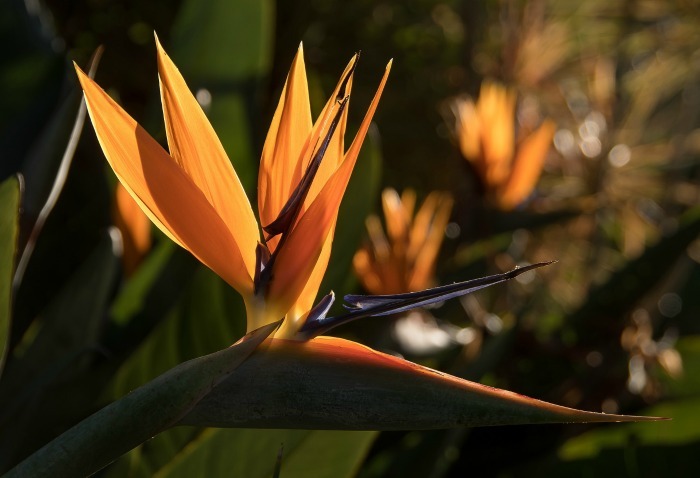 No list of unusual flowers would be complete without the Bird of Paradise (strelitzia). This exotic plant is hardy outdoors in zones 9-11 but can be stretched to zone 7 as a patio plant with some cover in the colder months. When I lived in Australia, I saw it all the time and was also lucky enough to see it growing everywhere on a recent trip to California to visit my daughter. 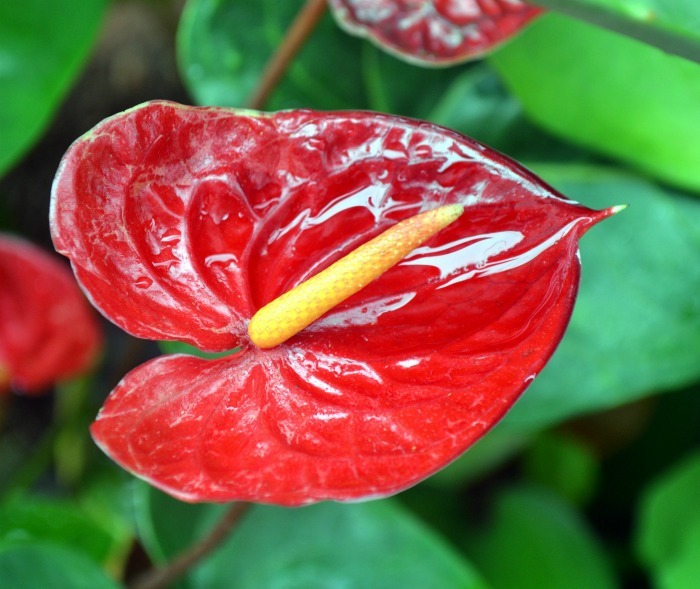 Another tropical tender perennial is flamingo flower, also known as anthurium. This plant is normally grown as a houseplant in most areas of the US. It can tolerate lower light conditions. The waxy looking flowers last a long time and are so pretty! It’s almost time for Halloween. 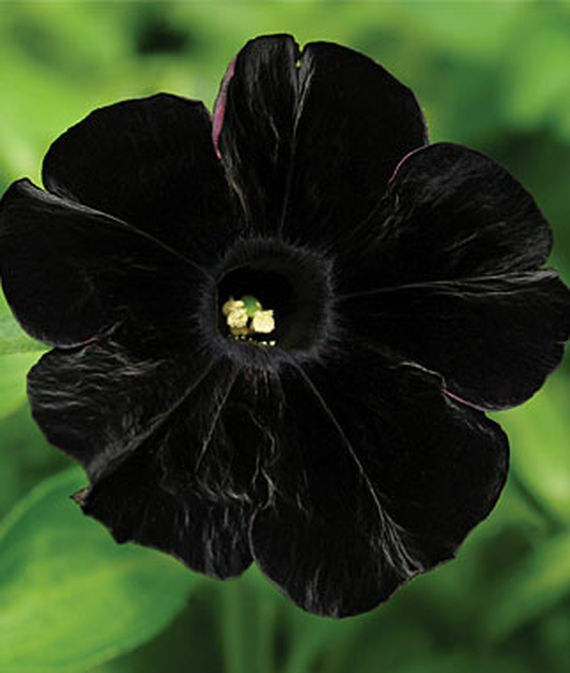 Black Cat Petunia would make a great flower choice for decorating – Source Burpee. It’s not often that we see black flowers. This one has a velvety look to it. 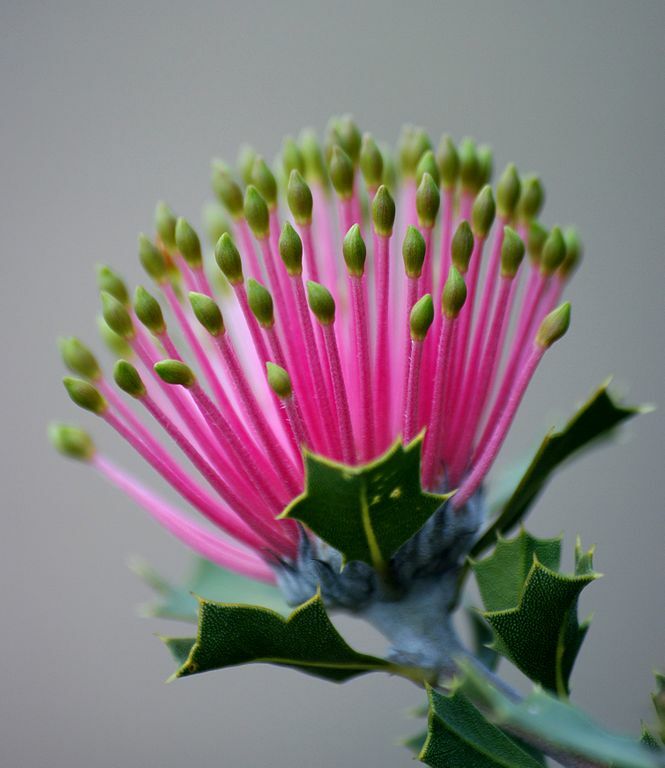 Match Stick Banksia is native to South West Australia, so it needs a warm climate to grow. Image Source Wikipedia It’s easy to see where the plant gets its common name, isn’t it? 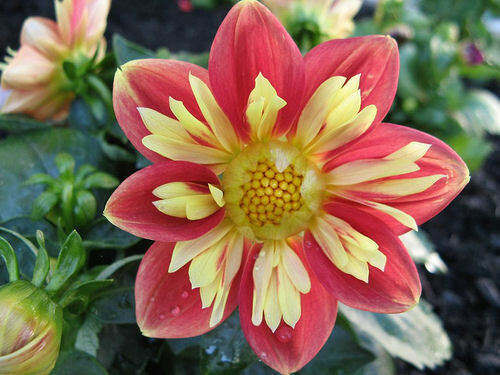 All dahlias are lovely but this one has an unusual color and pretty shape. – Source – PhenoMNel Twin Cities Some dahlias can grow as large as a dinner plate! Osiria Rose – This image of the rose has been photo shopped and is highly sought after. 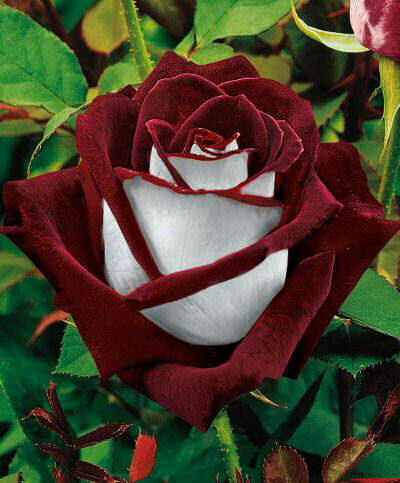 There is a real Osiria rose. It is not quite as vibrant as this image but is still a beauty in its own right. See more on Osiria rose here. If you would like a reminder of this post, just pin this image to one of your Pinterest Gardening Boards to help you find it easily later. Admin note: This post first appeared on the blog in June of 2013. I have updated the post to add more information as well as several new unusual flowers. 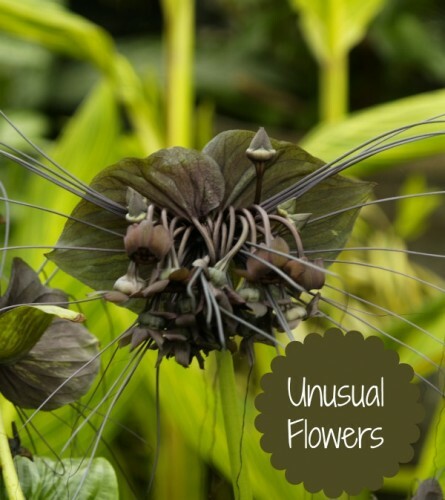 I love all types of flowers but I am partial to those that are unusual and different from the ones we usually see. Where can I find these. Not sure on where to get them all. Each flower has a link under it to the original source. That might give more info. have you ever seen a passion flower? i live in north fl and they are a vine type, beautiful and unique and quite hearty in this climate. but they will cover a wall just like jasmine. 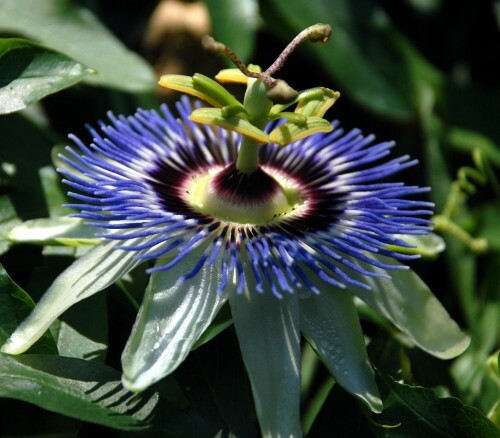 the first image when you google passion flower is the type i have seen. hope you enjoy! I have purple and burgundy passion in my yard. I would wish I could get blue I didn’t know there were more colors. As a kid, I used to walk along the railroad track (not recommended) in our town as a shortcut to my Grandma’s house and this Passion Vine grew wild beside the tracks. Weird……but beautiful. The “frumusetea” looked Photoshopped to me. I was positive that this is the case when I tried to find seeds. my dad loved roses and he died and I want to know what the name of the rose bush is and where I can get one, and if I could get the rose made out of silk . Thank you ! me too ..!